Physical Problems: allergies, arthritis, chronic fatigue syndrome, cancer, hypoglycemia, fibromyalgia, multiple sclerosis, thyroid dysfunction, and many other diseases, medication side effects, sleep problems, old age, and parenting young children. Life Stresses: grief, overwork, broken relationships, difficult circumstances, and a traumatic event. It hates weakness, dependency, aging, inability, and weariness. Our world treats fatigue only as a medical problem. But weakness and fatigue are normal within a fallen world. You live in God’s world. He will deal gently and sympathetically with you as he makes you like himself (Hebrews 4:14-16: 5:2). You are fundamentally weak and dependent. We are dust. We clay. We don’t have life in ourselves. He makes us know our vulnerability so that we wil know our need for him. Jesus lived in weakness. Jesus’ experience of weakness is the door to one of the most marvelous promises of God in Hebrews 4:16. 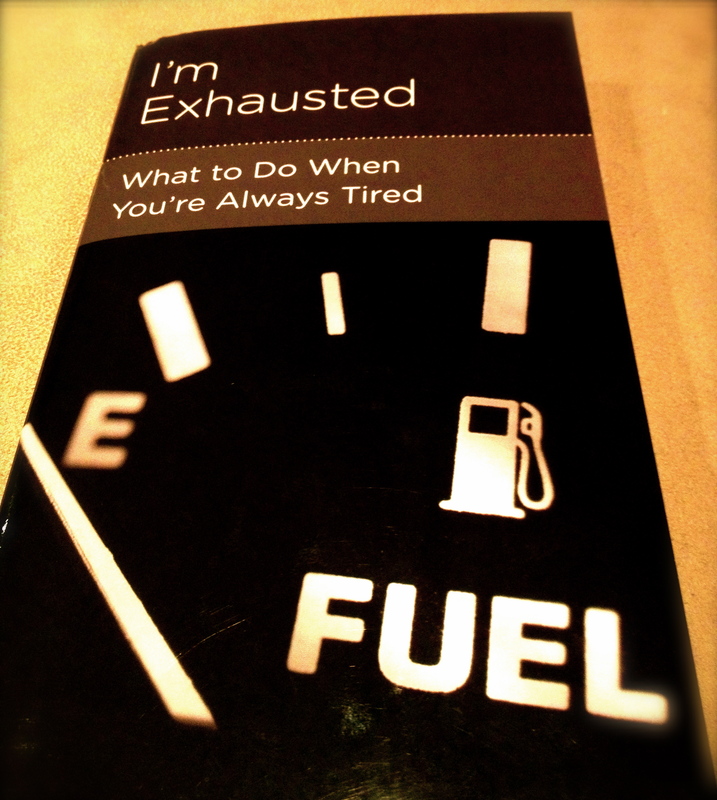 Like any trouble, fatigue exposes what’s really going on in your heart and mind. Use it for secondary gains. God’s power is perfectly revealed in our weakness. God will use your weakness to show that what drives your life is not you, but the power and mercy of Another. When Christ matters in your life, he shines through your life. When others look at you, they will see the evidence of God’s divine power at work in you. God is more interested in who you are in Christ than in what you do for him. God doesn’t meet us the way we want, but he does restore us. Scale down the size of your life. Our culture is often of little help, because it is obsessed with health. You should seek appropriate medical help while still living your life within the circumstances God has given you. You can show your love to your family and friends by helping them deal with your fatigue. – Recognize that your fatigue also creates suffering for those around you. – Graciously listen to all the advice you get, but don’t feel like you have to follow all of it. – Share with them how God is helping you to live in his world within the limitations of your fatigue, and how God is using your fatigue to make you more like him. Very good blog! Do you have any recommendations for aspiring writers? I’m planning to start my own blog soon but I’m a little lost on everything. Would you suggest starting with a free platform like WordPress or go for a paid option? There are so many choices out there that I’m totally overwhelmed .. Any tips? Bless you! I would go with a free platform like WordPress to begin with.